Posted in: 1 Pageant Pages, 2 Shout-out-Looks. Tagged: Aces & Queens, Miss World Philippines 2018, Monique Angelica Tuzon, Solar Entertainment. “My name is Angelica Tuzon, however I go by Monique. I am 25 years old. I just got back in Manila from living in Charlotte, North Carolina. I graduated with a Communications- Mass Media degree from the University of North Carolina Charlotte. Being a Filipina in Charlotte, I really embraced my heritage representing the Filipino Community at Miss Asia Carolinas (2012) where I won the title. I am currently a producer/reporter at Solar Entertainment Corporation. My hobbies are cooking and eating because it’s where I can spend quality time with my Lola. She is Kapampangan, so she has secret recipes that date back to our great great grandparents. I also love to travel. I actually took a year off after college to travel and backpack around Southeast Asia! Posted in: 1 Pageant Pages, 2 Shout-out-Looks. Tagged: 65th Miss Universe, Gov Luis Chavit Singson, Shangrila Boracay Resort and Spa, Solar Entertainment. 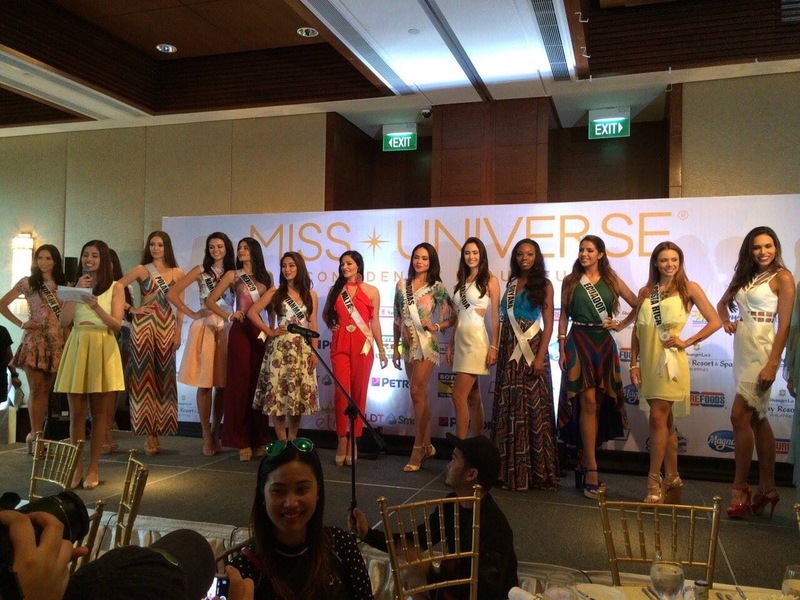 Yesterday, sixteen (16) of the 65th Miss Universe contestants flew to Caticlan where they were ferried to Boracay Island straight to Shangrila’s Boracay Resort and Spa for a side event of the pre-pageant. The ladies are: Estefania Bernal of Argentina, Caris Tiivel of Australia, Rebecca Rath of Belize, Catalina Caceres of Chile, Carolina Rodriguez of Costa Rica, Connie Jimenez of Ecuador, Soyini Fraser of Guyana, Sirey Moran of Honduras, Martha Fenech of Malta, Cristal Silva of Mexico, Htet Htet Htun of Myanmar, Lizelle Esterhuizen of Namibia, Marina Jacoby of Nicaragua, Izabella Krzan of Poland, Sila Cakir of Turkey and Carolyn Carter of US Virgin Islands. They were accompanied by Gov. Luis Chavit Singson for the trip sponsore by Solar Entertainment. It may be a quick sojourn but I’m sure the ladies enjoyed the stay in the world-famous paradise island where they were given the VIP treatment all around. Next stop: Vigan, Ilocos Sur for twenty (20) other delegates for the Cultural Terno Show tonight in Plaza Burgos.